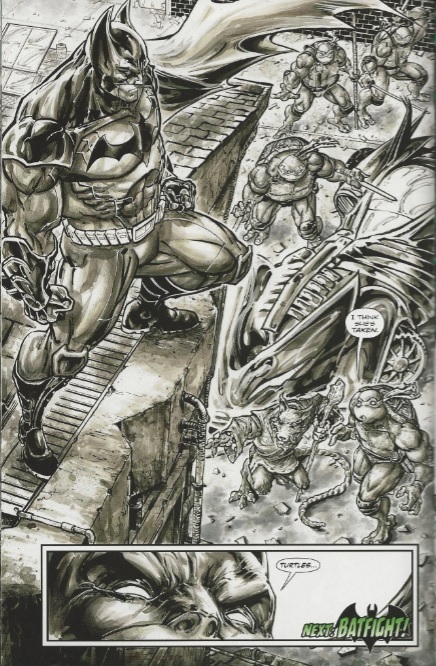 *As of right now, DC has not announced further Director's Cut editions of the remaining issues of the Batman/TMNT miniseries. These Director's Cut editions have been fun little experiments on the part of IDW (or DC) with regards to their Turtle crossovers. 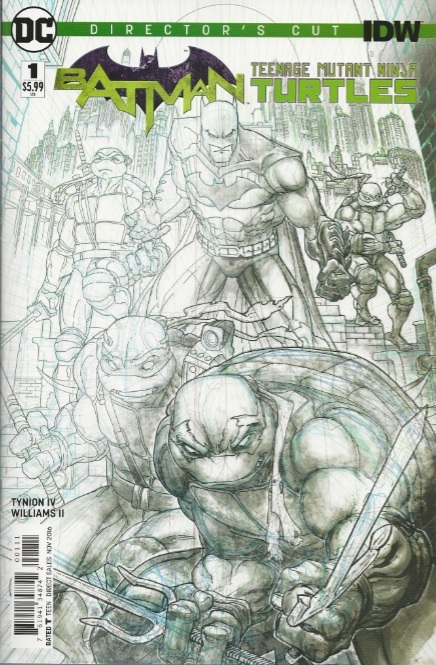 That said, this go around with the format was a bit less interesting than the TMNT/Ghostbusters #1: Director's Cut. 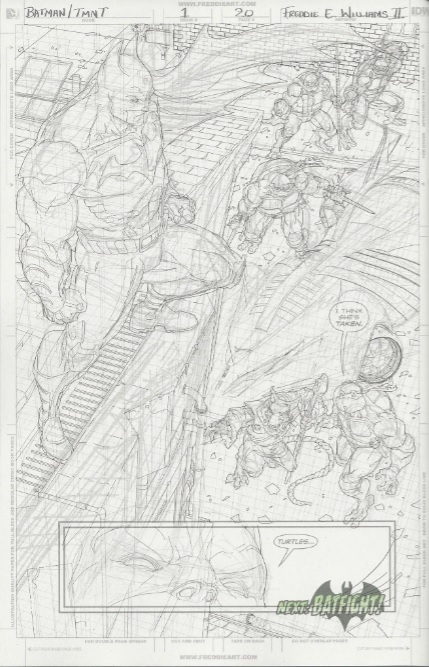 Don't get me wrong; being able to see the inks-only version of the pages and the pencils-only version was some great stuff. Williams II is a freakin' TREMENDOUS artist and the privilege of seeing his process makes this special well worth the double-dip for $6. However, it's very much an artist-heavy Director's Cut with less emphasis put on the writer's perspective. 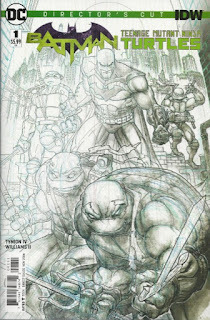 The TMNT/Ghostbusters Director's Cut lacked all the art break downs, sure, but it included commentary from everyone involved in the miniseries, both the artist AND the writers. There is no commentary whatsoever in this Director's Cut, leaving us without any fun behind-the-scenes stories or pointing-out of Easter eggs. The final draft of the script in the back is the only bone thrown to Tynion's contribution, but being the final draft you won't find any neat deviations from the finished comic had they included an earlier draft or something. That said, on a visual level this thing is damn cool. If you're a budding artist and you found Williams' work inspiring, you'll want to go for this reprint. 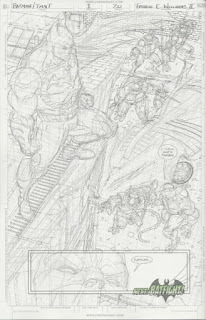 I found the pencil-only pages the most enthralling because without any clutter you can REALLY see how much work he put into the details. This guy spares no pig sweat. Of course, with all those details the pencil-only pages can be a little tough to read, which will only leave you with a greater sense of respect for Jeremy Colwell, the colorist of the miniseries who made everything pop. He did a phenomenal job and I'd say his work was as much a factor in the success of that mini as Williams' or Tynion's. Alas, since this special includes only inks, pencils and script, Colwell doesn't get much celebration. All in all, this was a cool bonus, but I think it doesn't spread the focus on talent and contributions around as much as it should. The lack of commentary was a major miss, but if all you care about is the art, I think you'll have a field day with this special. Thanks for the spotlight of this one! I had completely forgotten this one even existed. I appreciated the Ghostbusters/TMNT Director's Cut for the same reasons you stated about creative behind-the-scenes process!